Shortly before sunrise – it was the day before my return from Kapama Private Game Reserve – we received the message from a ranger, that a African Lion had just killed a buffalo. It took some time before we discovered the place amidst the pathless thorny bush. 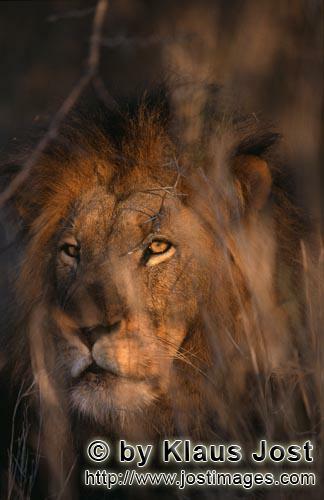 The sun had just risen; the lion was watching over its prey, looking directly at me.